At Picture Perfect Cleaning, we always aim to provide an excellent customer experience through the quality of our services; but it doesn’t stop there. We believe in going above and beyond, and to us that also means we make every effort to build an environmentally-friendly cleaning culture. We value the importance of promoting a sustainable economy and know that many of our customers are also mindful of their environmental impact. Cleaning may be a small component of a larger whole, but it is still something we can directly influence. Where we can work to enact change, we will. The biggest concern with cleaning products is the chemicals they contain. There are thousands of chemicals which have not yet been tested for safety. Some of these chemicals are not biodegradable, meaning they could indefinitely persist and become harmful to the environment. Our commitment to providing ‘green’ services is complemented by our use of environmentally-friendly cleaning products. Green Seal is a nonprofit organization that provides science-based environmental certification standards. The goal is to empower consumers, purchasers, and companies to create a more sustainable world. Many of the products we proudly use carry a Green Seal designation. Green Seal cleaning products have earned their designation through extensive testing during an entire life cycle to ensure they have a minimal environmental impact. The Green Seal standard considers elements such as materials, VOC content, acidity, chemical half-life, and other important metrics which ultimately determine a product’s sustainability factor. At Picture Perfect Cleaning, we firmly believe that using Green Seal products is the best way to portray our environmentally-friendly cleaning culture. EcoLogo certifications are voluntary and indicate that a product has undergone extensive scientific testing to ensure it complies with stringent environmental standards. Like Green Seal, we use EcoLogo products in confidence knowing that their effects on the environment – and our health – is well studied and documented. When we see EcoLogo on a product, we know that the product is a responsible choice for the task at hand. Elbow Grease: It’s a Cleaning Product! Our cleaning program centres around the belief that, where possible, elbow grease is the best substitute for cleaning products. 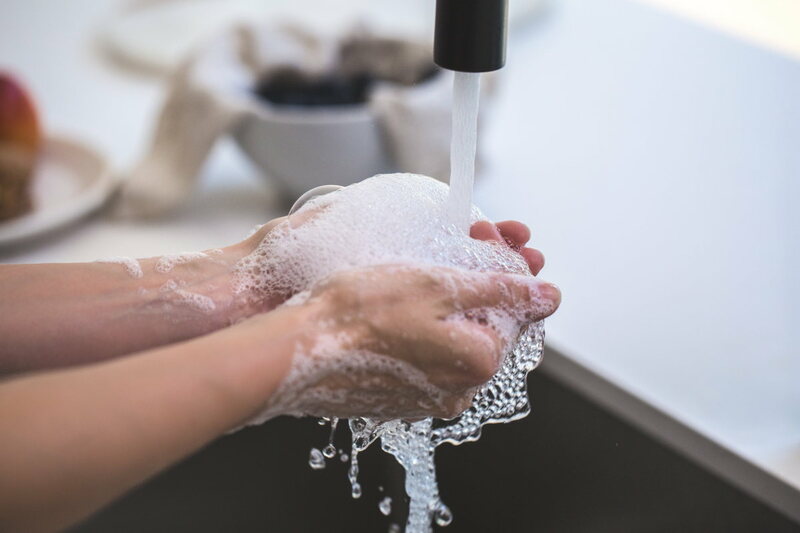 This isn’t to say that we don’t employ cleaning products where appropriate – such as when sterilizing a surface is required – but rather that, whenever we can, we replace a chemical with good old-fashioned scrubbing. Our team at Picture Perfect Cleaning has been providing high quality commercial cleaning services in Calgary and Edmonton since 2010. Our mission is to provide the best commercial cleaning services in Canada. If you are looking for top-notch cleaning services with an environmentally-friendly edge, contact us now: Calgary, Edmonton. We hope to have the opportunity to earn your business!